Get ready with this ThinkPad T410 Laptop PC from Lenovo! This exceptional Laptop PC is designed to enhance productivity and change the way that you work. ThinkPads are also environmentally responsible and are EPEAT Gold qualified. This Laptop is built with Intel Core i7-620 processor that runs applications at a speed of 2.66GHz. With 4GB of memory, this PC gets enough power to handle multitasking with ease. You can store all your files, movies and games as much as you’d like using its 180GB SSD storage capacity. Plus, it is decked with the Windows 10 Pro operating system that is designed to provide a familiar and productive experience, while delivering enterprise-grade flexibility and security. The keyboard and its sturdy frame provides unmatched durability. So what are you waiting for? 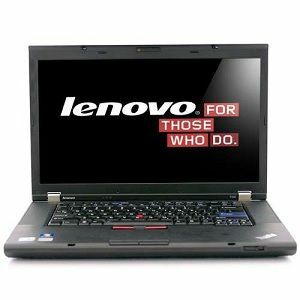 Purchase the Lenovo ThinkPad T410 Laptop PC today!